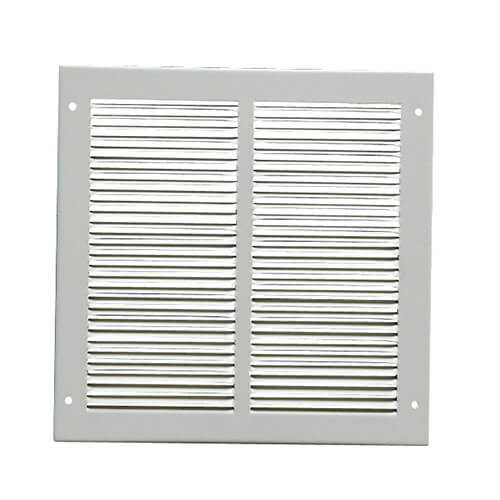 Pressed Steel Grilles are pressed from Zintec coated steel. 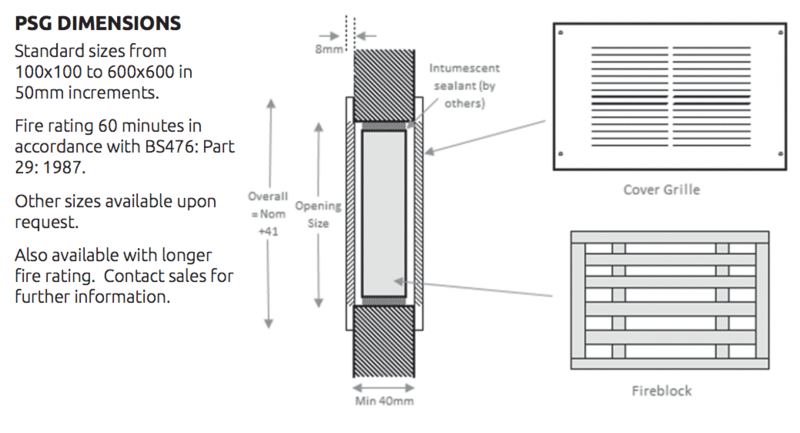 Available with Intumescent Fireblock, constructed in a Zintec coated steel frame containing slats encasing strips of graphite based intumescent material. 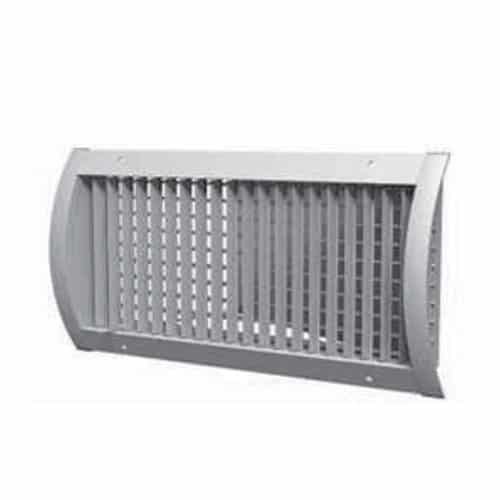 The RCM Pressed Steel Grille is pressed from Zintec Coated Steel with a 67% Free Area. 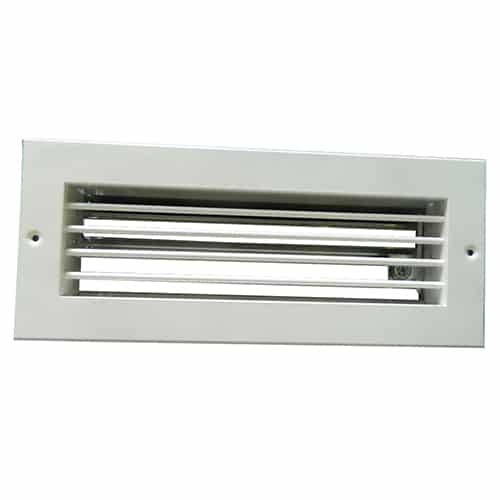 Available with Intumescent Fireblock, constructed in a Zintec coated steel frame containing slats encasing strips of graphite based intumescent material. 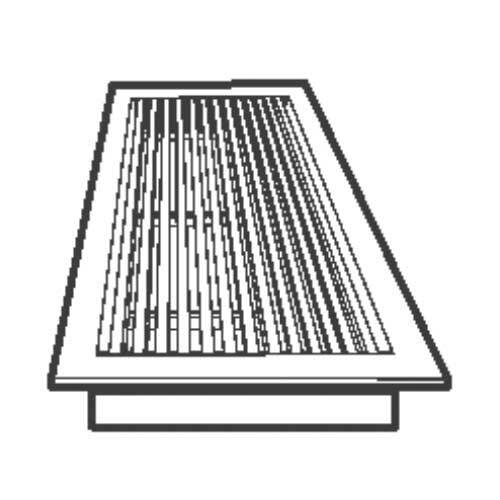 This material reacts when in contact with fire to expand and fill the area inside the grille. 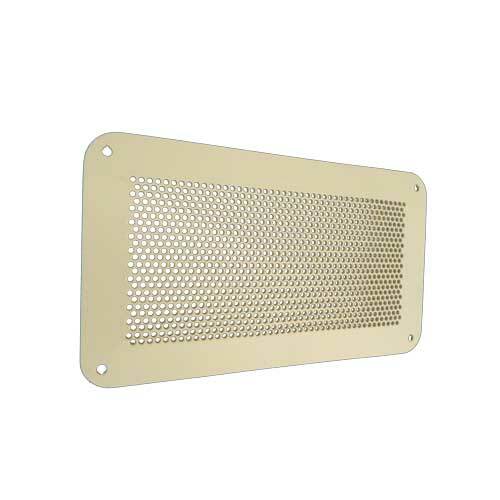 Standard finish for grilles is RAL9010 or polyester powder coated to the customers colour requirement.